KVR Price: $199.50; Save $99.50! 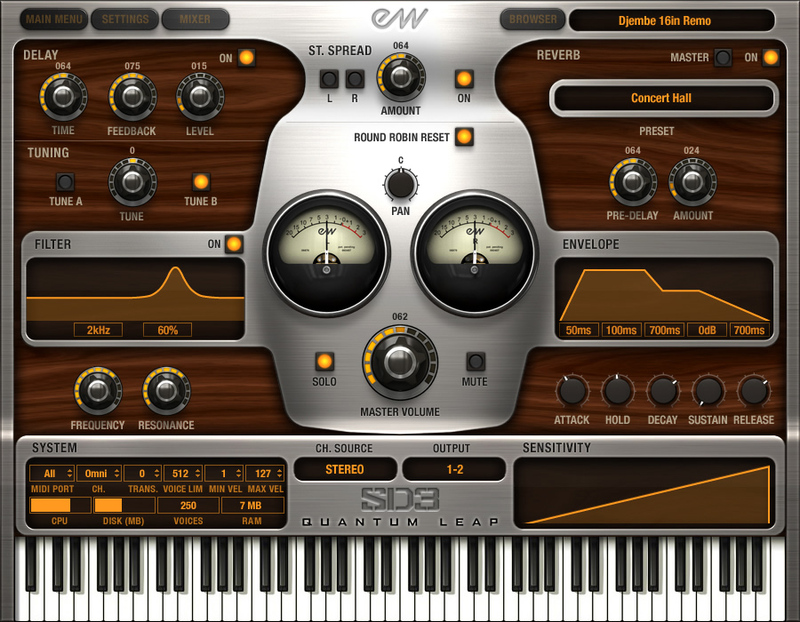 Quantum Leap Stormdrum 3 is the most advanced percussion virtual instrument to date. Features the best instruments from the private collection of Mickey Hart. Includes tempo synced percussion performances directed and played by Mickey Hart, with Greg Ellis, Chalo Eduardo and Nick Phoenix. Includes new PLAY 5 64-bit software on both MAC and PC, more user control and detail than any other collection. 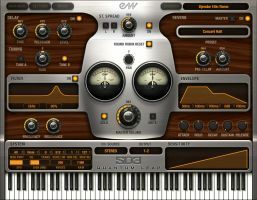 The new FX section is included with SD3, and available as an optional upgrade for all other legacy EastWest PLAY virtual instruments. The FX section includes a SSL EQ and Dynamics Channel Strip, Transient Shaper, and SSL's legendary Stereo Bus Compressor; plus an upgraded "true stereo" reverb from EastWest plus new features. Big Drums: These are the larger drums that do not fall in the Taiko family. Many of them include large, deep and booming sounds, but others are more complex in nature. There are some real gems in here from Mickey's magical warehouse of one of a kind hand drums. Highlights in the epic genre here are The Beast, Double Headed Tree Drum, Lord Of Toms Ensemble and Dragon Ensemble. Gongs Clocks Waterphones: These instruments provide the iconic sounds of several gongs and waterphones, some played underwater. The "Clockworks" patches are the result of Nicks field recordings in 6 antique clock shops. Small Drums: Here you'll find a very large collection of smaller drums. Some have names you're probably familiar with, such as bongos, frame drums, and tambourines. But there are so many others that will surprise and delight you. Many of the Indian drums in this category are particularly special, such as the tuned tablas and madal. Performance techniques are stellar. Woods: In this group you'll hear unpitched sounds from wooden resonators; tuned chromatic instruments, such as a gourd marimba and a balaphone; the mighty gourd drum, a playable 12 ft. long redwood tree branch and wonderful scraped sounds, such as the Thailand frogs.